The trades are coming through very slowly today but hopefully this one opens the floodgates a little bit. The Columbus Blue Jackets have traded former first-round pick, Rostislav Klesla to the Phoenix Coyotes for Scottie Upshall and Sami Lepisto. Klesla was the first pick ever for the Blue Jackets franchise when they selected him with the fourth overall pick in the 2000 NHL entry draft. “Rusty” has been plagued by injuries in his career which has limited him from becoming a big factor on the Blue Jackets blueline. He now moves to the desert to hopefully rejuvenate his career. Florida is helping to keep the trade deadline some what interesting right now as they have made their second trade within the last hour. They are now shipping defenseman Dennis Wideman to the Washington for a third-round pick and Jake Hauswirth. This trade is surprising from Washington’s standpoint because they have been chasing a second line center so another deal should be coming soon for them. The Florida Panthers have traded forward Radek Dvorak and a fifth-round draft pick to the Atlanta Thrashers for forward Patrick Rissmiller and winger Niclas Bergfors. Trade season officially started for the New York Rangers today as they acquired Bryan McCabe from the Florida Panthers for Tim Kennedy and a 3rd round pick. The Rangers are able bolster their blueline with a very good, offensive minded, veteran defenseman. McCabe will also help the Rangers powerplay which has been horrible all season as they now sit 21st in the NHL. McCabe has 143 goals in his career, 72 of which have come on the powerplay so the Rangers are getting a legitimate powerplay quarterback for their playoff run. 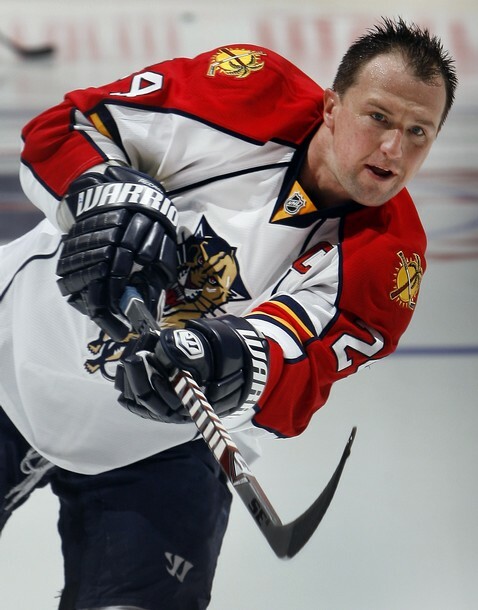 Tim Kennedy was sent back in return to the Panthers. Kennedy signed a two-year deal with the Rangers this off-season but was sent to the AHL earlier this year and for fear of losing him via re-entry waivers, the Rangers decided to leave him in the minors until next season when they could call him back up. So for the Rangers to acquire a powerplay quarterback with an expiring contract for a player that they weren’t going to call up until next year and a 3rd round pick is another great move for general manager, Glen Sather. Sather acquired Wojtek Wolski for Michal Rozsival earlier this season so he is 2-for-2 on trades so far. Glen Sather may need to be arrested for robbery because he has been able to get rid of unwanted parts for players that can immediately help this team. Now everyone is questioning whether the Rangers still have cap space to go acquire Brad Richards and with how good Sather is at trading, I wouldn’t count them out. It was reported earlier in the week that Stars general manager, Joe Nieuwendyk, was requesting Derek Stepan, Brandon Dubinsky, and Marc Staal in exchange for Brad Richards. Now if Nieuwendyk really expects the Rangers to part with all of that for Richards then I don’t see him coming to Broadway until this summer. Now with the way Sather is with trades you may see Richards in New York on Monday for Matt Gilroy, $3.99, and a bag of chips. The Rangers best move might be to wait until July to go after Richards, that way they don’t have to part with some of their young players. Richards won’t help them win a cup this year so why sacrifice the future? McCabe will most likely get his first action in a Rangers uniform tomorrow when the Rangers go back home to take on the Tampa Bay Lightning. At this point this is just a rumor but it’s one of the main things that people are talking about right now. The Avalanche have a surplus at center and with Matt Duchene coming back in a few days from a hand injury, the Avs are rumored to be moving one of their centers. The main name being tossed around is Paul Stastny’s. Now again this is just a rumor but if this trade were to go down it would easily be the biggest trade so far and it would really shake up the Western Conference. The Avalanche already made a major trade when they traded for former 1st overall pick, Erik Johnson, just a few days ago. The NHL trade deadline is just a week away and its been one of the most active deadlines in recent memory and with rumors like this it will only make the next week more and more interesting. There has only been one trade since the last update by Eric Bancker, but this one is worth mentioning. The Pittsburgh Penguins traded away Alex Goligoski, their talented young defenseman who has been a solid player so far in his young career to the Dallas Stars. 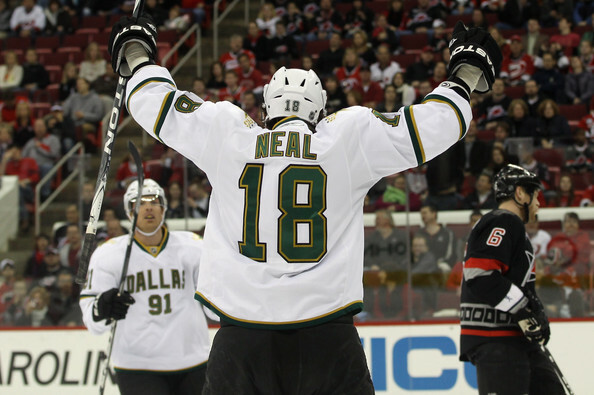 The Stars sent promising winger James Neal and former 1st round pick in the ’05 draft, Matt Niskanen. I’d say the Penguins got the better deal here, Neal is having a good year tallying 39 points in 59 games up to this point. Niskanen isn’t bad either, he is young and still has some upside. I’m not counting out Goligoski either, but Neal has the potential to be a superstar, consider this one a win for the Ray Shero and the Pens. Rangers Lose, Gaborik Hurt, What’s Next? Things can’t get much worse for the New York Rangers right now. They put together a half-hearted effort, until the 3rd period, this afternoon against the Flyers and Marian Gaborik went down with and undisclosed injury which turned out to be a concussion. The Rangers were able to score first against the Flyers when Wotjek Wolski got one past Brian Boucher but the Rangers shutdown after that and let the Flyers take it to them. The Rangers came alive in the 3rd period and looked like a completely different team and they threw everything they could at the net but in the end it just wasn’t enough to beat Boucher and the Flyers. Boucher was phenomenal today and out-dueled Henrik Lundqvist. Does that make you cringe Rangers fans? The Rangers can’t seem to score as they have only scored over three goals just five times since they beat Toronto 7-0 on January 19th, which is a 13 game span. Henrik Lundqvist has also been below average as he has allowed soft goal after soft goal, including a couple today. Lundqvist has lost confidence in himself and it’s showing and when this team isn’t scoring, like they haven’t been for the past five years, they can usually rely on him to shut the door and give them a chance but it hasn’t happened too often lately. So with the trade deadline a week away, what do the Rangers do? They obviously need scoring and Bryan McCabe is being looked at as a possible powerplay quarterback for the Rangers. Filip Kuba and Chris Neil have been mentioned from the Ottawa Senators but neither one can fulfill the Rangers need for scoring at this point. Brad Richards is off of the table now that he recently suffered a concussion so the Rangers most likely will not pursue him until the off-season. At this point Glen Sather needs to do something and fast because the Rangers are sinking rather quickly and are about to find themselves outside of the playoff race which at this point may be a good thing with the way they have played because they don’t stand a chance of winning a seven-game series. Most Ranger fans are calling for Gaborik to be traded but I’m sure they will all break their ankles when he starts scoring again because they will be forced to jump off of the “Trade Gaborik” bandwagon. Last time I checked the guy is a two-time 40 goal scorer, one of which was last year when he lit the lamp 42 times. The Rangers are now showing their true identity, a rough and tough team that can out muscle you but not out score you. They are the sixth youngest team in the NHL and they aren’t Stanley Cup bound just yet. They teased us earlier in the season with the amazing run that they had but injuries and inconsistent play have helped to show that this team just isn’t ready for a deep playoff run. They still need to shred contracts, (Drury), and continue to develop their young talent so until then they just need to focus their sights on making the playoffs and they need to do that without jeopardizing their future. The playoffs are a great benchmark for this young team and it will keep the fan base happy, for now.